Got Stuff? Make a Clean Break! Yep! It’s that time of year! The time of finals, senior scramble and move out! But what are you supposed to do with all of the bulky sweaters, beach towels, and last-season shoes you can’t fit in your suitcase? Don’t throw them out! Make a Clean Break! 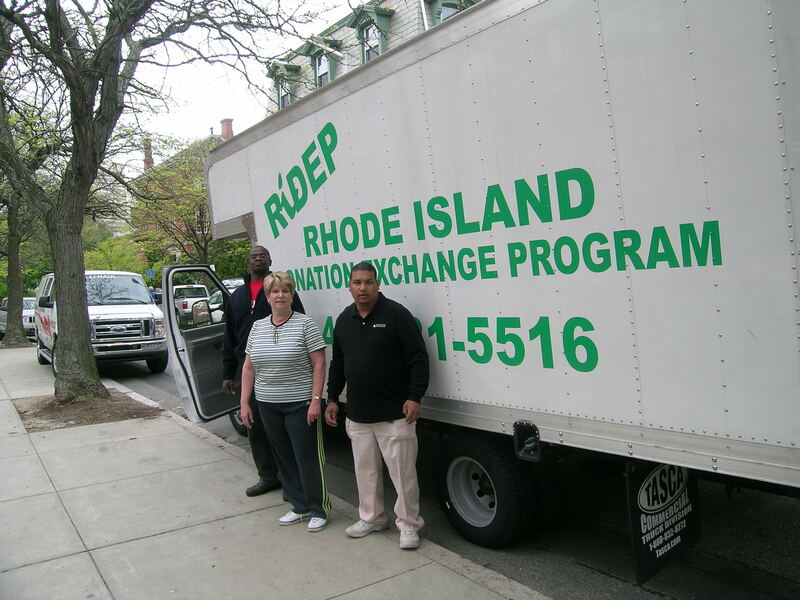 The RIDEP crew partners with 85 social service agencies to make sure our donations get to the RI families who need them! This year EcoReps is partnering with Facilities Management, Rhode Island Donation Exchange Program,and Waste Haulers to organize Clean Break, a program which provides an easy way for students to donated their unwanted clothes, towels, plates, microwaves, any and everything you can think of back to the Providence community. Last year Clean Break kept over 16 tons of usable donations out of the landfill! (that’s more than two African elephants worth! ) Those 16 tons represented a 150% increase in donations from the year before and we know we can do even better this year! Look for the blue bag in your mailbox! – This year we will be giving every student a blue bag to put their donations in. Please fill it with what ever you have to give and then take it to the nearest donation location. Just about anything! As long as it could be used by another person. We except clothes, shoes, kitchen appliances, speakers, printers, plates, sealed and un-opened jars of peanutbutter, you name it! Check out the poster for more examples of great donations! Where do I put my donations? Donation station in New Dorm. Keep an eye out for donation stations around campus! What if I live off-campus? If you live off-campus you are more than welcome to bring your donations to any one of the nine outdoor reuse corrals on campus. Or you can the RI Donation Exchange Program at 401-831-5516, if you give them 48 hours notice, they will come and pick donations directly from your house! Door to door service! Tons of thanks (two elephants worth!) to the custodial staff, Waste Haulers employees, RIDEP folk and student volunteer who make this program possible!